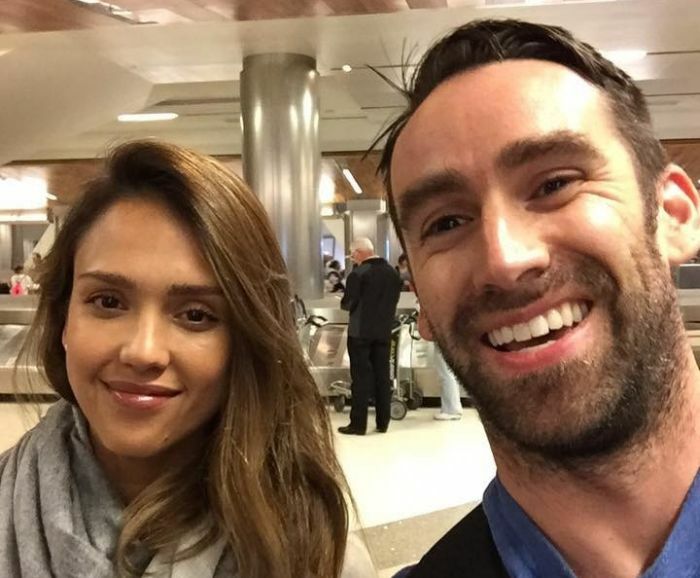 Last year Imgur user Dave jennings took a photo with Jessica Alba when he met her at the airport. 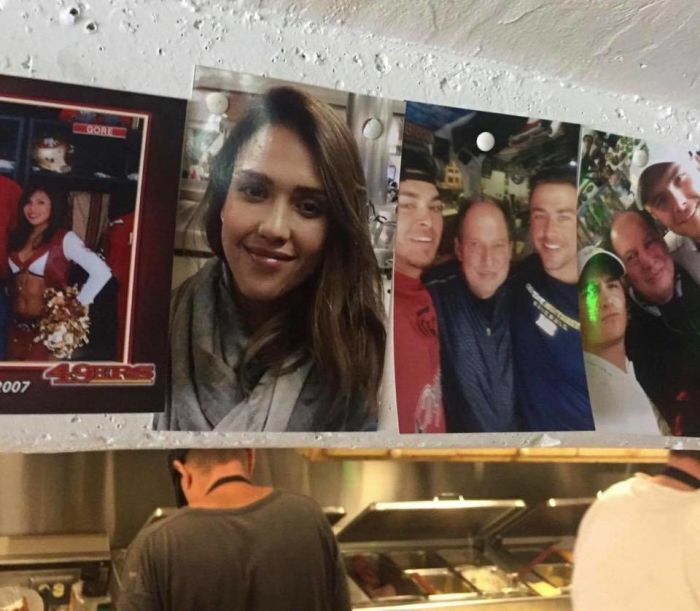 A year later his friend found the picture randomly hanging up in a deli that usually posts pictures of famous people who have been there. The only difference is that when he found the photo, Dave had been cropped out.